Brad specializes in Delaware corporate law and represents clients in a variety of areas, including corporate and commercial litigation in the Delaware Court of Chancery where he began his legal career as a judicial law clerk. In addition to his litigation practice, Brad frequently advises directors and special committees on internal investigations, corporate governance, and transactional issues. Chambers USA has recognized Brad as a leading Court of Chancery practitioner each of the last seven years. Most recently, Chambers USA 2018 recognized Brad as “being acclaimed by clients as an ‘articulate, thoughtful and strategic’ attorney who is ‘exceptionally intelligent and asks the right questions.’" Chambers USA 2018 also recognized Brad for “demonstrat[ing] impressive expertise in handling complex corporate and commercial disputes in the Court of Chancery,” and as being “noted by sources for his collaborative approach and ‘very calm demeanor that's extremely effective.’” Brad has been recognized by Chambers "for his work advising special committees" as well. In addition to Chambers, Brad is named in The Legal 500 US and Delaware Super Lawyers. Brad has represented clients in many of Delaware’s marquee corporate cases in recent years, including In re CBS Corporation Litigation; El Paso Pipeline GP Company, L.L.C. v. Brinckerhoff; In re Zale Corporation Stockholders Litigation; In re Kinder Morgan, Inc. Corporate Reorganization; and In re CNX Gas Corp. Shareholders Litigation. Most recently, Brad argued an interlocutory appeal before the Delaware Supreme Court arising out of a post-merger fraud case involving the country’s largest demolition and environmental remediation company. Brad also was a member of the trial team that successfully defeated Merion Capital’s appraisal claim for approximately $90 million of additional merger consideration in connection with Fidelity National Financial’s $4.2 billion acquisition of Lender Processing Services. 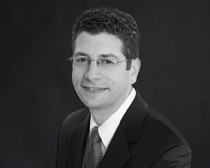 Brad frequently speaks and writes on Delaware corporate law issues. In May, Brad participated in a panel discussion on Delaware LLC & Limited Partnership developments at PLI's Delaware Law Developments 2018: What All Business Lawyers Need to Know seminar in New York. The prior summer, he spoke at the Delaware State Bar Association’s annual Bench and Bar Conference on a panel exploring the practices of the Delaware judiciary and courts. He has also spoken on Delaware law and M&A panels sponsored by the Corporate Law Section of the Delaware State Bar Association and the Business Law Section of the ABA. As listed below, Brad has published articles in, among other publications, The Business Lawyer; Deal Points; The Delaware Law Review; Insights and The M&A Lawyer. A number of these articles have been cited in decisions by the Court of Chancery and other courts. Brad also served as Co-Vice Chair of the ABA Task Force that delivered a report to Congress and the SEC on the delineation of governance roles and responsibilities of stockholders and directors in light of the then unraveling 2008 financial crisis. Following his clerkship, Brad practiced for five years at Weil, Gotshal & Manges LLP in the firm's Securities and Corporate Governance Litigation Group in New York before returning to Delaware and becoming a founding partner of the firm. Brad Aronstam and Mike Sirkin Publish Article in Deal Points Entitled "Managing M&A Deals with Underlying Derivative Claims"